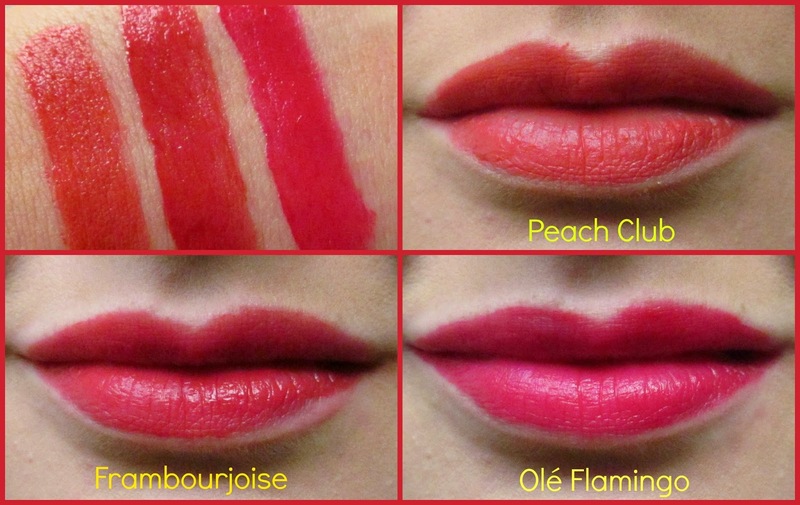 Well Bourjois have been knocking it out of the park for me in the last year or so with their lip releases, so I had high hopes coming up to the release of their Rouge Edition Velvet Lip Lacquers. Essentially matte liquid lipsticks, the pictures of these taunted me so much that I was stalking Boots stores just waiting for them to land. There are 6 colours available altogether- 2 "nudes", 2 pinks and 2 reds. I picked up three in Boots (€13.49 each FYI) and the colours I picked were (from top to bottom) 04 Peach Club, 02 Frambourjoise and 05 Ole Flamingo. The packaging on these is quite simple and I love that the entire packaging is colour co-ordinated and that the lids are indicative of the colour of the product inside- don't ask me why this charms me but charmed I am! The products apply with a neat little doe foot applicator which is also perfectly acceptable in my mind. You get 6.7 ml of product in each. The formula is quite thin and light even though it is matte- so in my experience, a few swatches are needed to build up colour opacity to the full whammy. It's also not powdery matte and still has a sheen- but the colour opacity is definitely worthy of matte status. I was expecting the formula to be alot thicker in all honesty but the thin formula is comfortable to wear (albeit drying on the kissmakers). The colours themselves are beautiful and perfectly summer appropriate. Frambourjoise is my favourite out of the three- a beautiful raspberry pinkish red- I wear this colour sheer by day and opaque by night and it's like having 2 different lip products. Peach Club is more coral than peach but it is perfectly summer appropriate and will get plenty of use over the summer months. Lastly, Ole Flamingo is a hot pink that looks absolutely striking on the lips when applied- the combination of the matte texture and vivid colour is very flattering. I like these lip products, but I don't *love* them in all honesty. They are drying and not only do they dry your lips out, they also expose any fine lines and any dry skin on your lips. Also, at €13.49 I think they are too expensive for what they are and I never say that about any other Bourjois lip products. My biggest peeve with these is lasting power however. Not only do they not last terribly long- circa 3 hours not eating/drinking etc., but they also fade horribly off the lips in patches and I just find they are too high maintenance for my personal preference. They don't particularly stain the lips so fading is an issue. So whilst the colours are striking and they are comfortable to wear on the lips, they just haven't swung me enough to purchase any others. 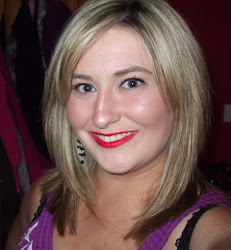 It's not a lip fail but these are definitely not my favourite Bourjois offerings.